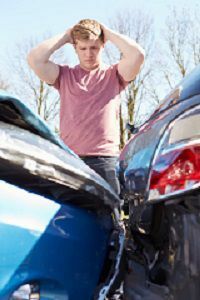 Common Causes of Wisconsin Car Crashes | Hupy and Abraham, S.C.
Any time a driver is negligent or acts with the intent to cause harm a serious car accident and devastating car accident injuries can result. However, there are some common reasons for car crashes that every driver and every passenger should know about. Distracted drivers. Any time a driver takes his or her eyes off the road, hands off the wheel, or attention away from driving, that driver may be distracted. Cell phones are a common form of distraction for drivers, but other things such as eating, drinking, music, passengers, and daydreaming can also be potentially deadly distractions. Drunk drivers. It is against the law for adults to drive with a blood alcohol content (BAC) of 0.08 percent or higher in Wisconsin. The BAC limits for drivers under age 21 and for those driving commercial vehicles is even lower. However, even people who are drinking and below the legal BAC limit may still have impaired driving skills. Drowsy drivers. Fatigued driving may cause more than 100,000 car crashes each year. A tired driver may be distracted, may drift into another lane, may have delayed judgment and response times, or may fall asleep at the wheel. Speeding. Speeding is dangerous for several reasons. For example, a driver who is speeding has less time to respond to other cars slowing down or changing lanes, and the force of a collision can be more severe when a car is speeding. A difference of only 20 miles per hour can more the double the force of a crash. Complicated roadways. Confusing intersections; signs that are missing, broken, or not highly visible; and malfunctioning traffic control lights can make accidents more likely. Additionally, weather conditions such as fog, rain, ice and snow may make roads complicated to follow and accidents more likely. Teen drivers. Teen drivers lack driving experience and may be more likely to make a serious driving mistake. While not every accident that involves a teen driver is the fault of the teen, it is important to consider whether the teen’s inexperience or negligence contributed to the crash. Elderly drivers. As with teen drivers, not every crash that involves an elderly driver is automatically the fault of the elderly driver. However, older drivers may have slower response times, slower reflexes, difficulty seeing, medication side effects, and other problems that make crashes more likely. Aggressive drivers. Common traits of aggressive drivers include impatience, anger, and a disregard for other drivers on the road. An aggressive driver can be a danger in many different ways, such as getting too close to the car he is following, ignoring right-of-way rules, and disregarding traffic signs and signals. Of course, any time a driver fails to act with reasonable care or violates a rule of the road, that driver can cause a catastrophic accident. In order to recover damages for your accident injuries, you are going to have to prove that someone was legally responsible for causing your auto accident. Therefore, you are going to have to know why the accident happened. Writing down the names, contact information, driver’s license numbers, and insurance information for all of the other drivers involved. Writing down the names and contact information for all passengers and witnesses to the crash. Calling the police and having them conduct an initial accident investigation. However, your investigation won’t end there. Instead, you may need additional evidence that can be obtained during the legal discovery phase of a Wisconsin car accident case. For more information on how to know what caused your car accident and what damages you may be entitled to pursuant to Wisconsin law, please read our free book, The Ultimate Guide for Automobile Accident Victims, and please start a live chat with us today.